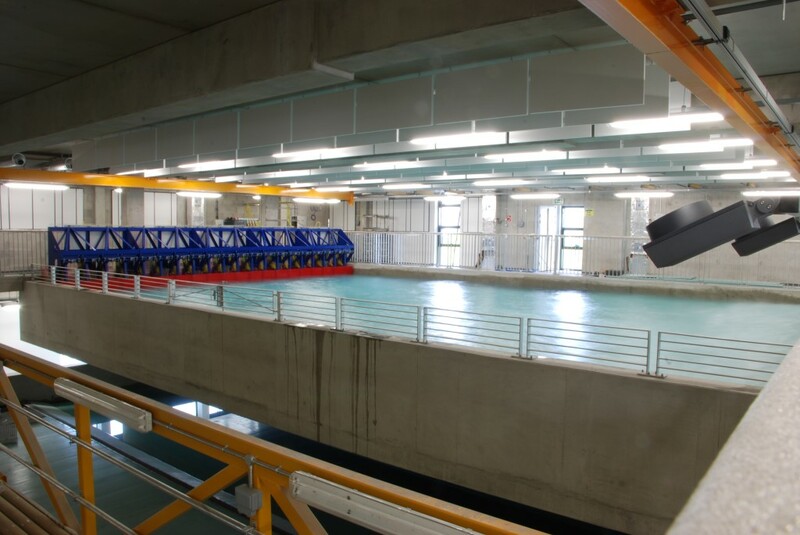 The Plymouth University Marine Building project is one of the largest most complex wave and current test facilities that Edinburgh Designs has produced. 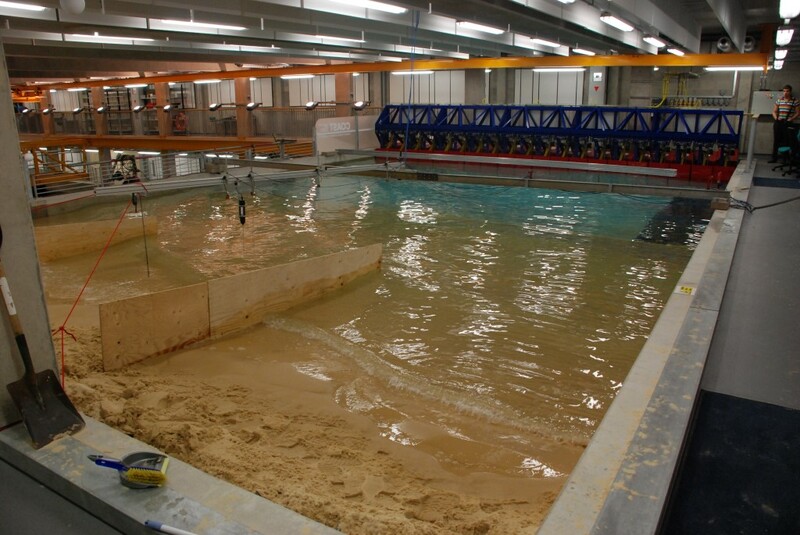 It was designed for both academic and commercial research and is capable of simulating a wide variety of wave and tidal situations. 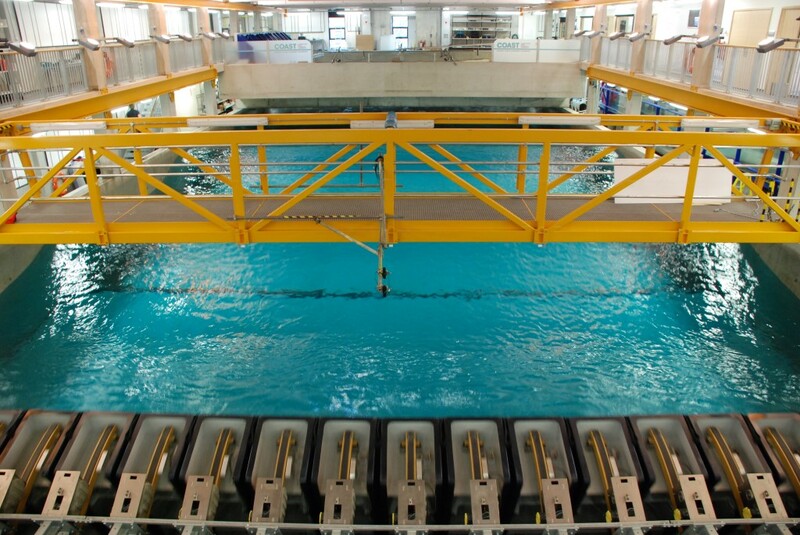 The facility includes four separate tanks: a deep water ocean tank; a shallow water coastal tank, a sediment flume and a tilting flume. All four tanks are equipped with wavemakers and current generators. The ocean tank has a hydraulic moving floor for ease of access and to simulate different ocean conditions. Ocean Tank: 24 flap paddles with 2.2m hinge depth. 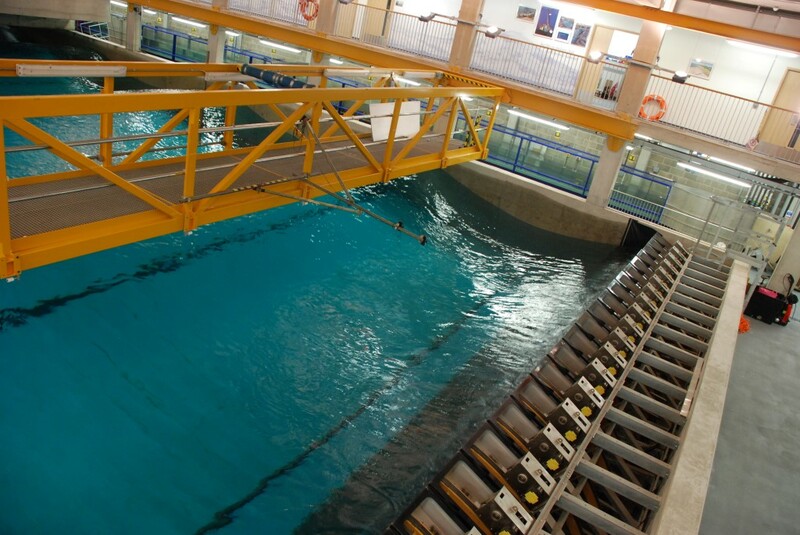 Capable of generating waves up to 0.9m at 2.5s period. Ocean flow: 6x 35kW longitudinal flow pumps and 14x 4kW cross flow pumps both capable of generating flow up to 0.5m/s. Coastal Tank: 20 piston paddles 0.5m x 0.5m. Cross flow generation up to 0.5m/s. Ocean tank hydraulic floor can move from 0m to 3m depth and can be tilted up to 6 degrees. 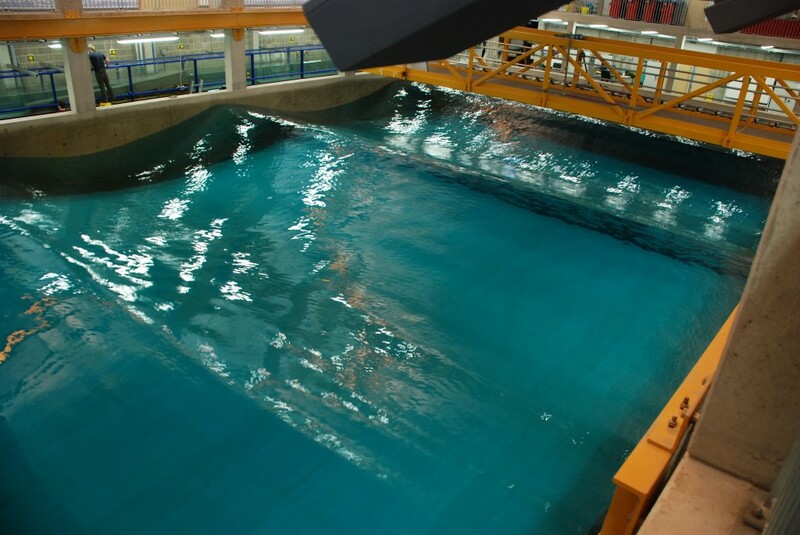 38m Sediment Flume Tank: Single piston 0.75m x 0.6m, with 0.5m/s recirculating flow capability. 20m Tilting Tank: Single piston 0.5m x 0.6m, with 0.5m/s recirculating flow capability. The end of the tank can be raised or lowered up to 120mm to offset head loss in the tank. 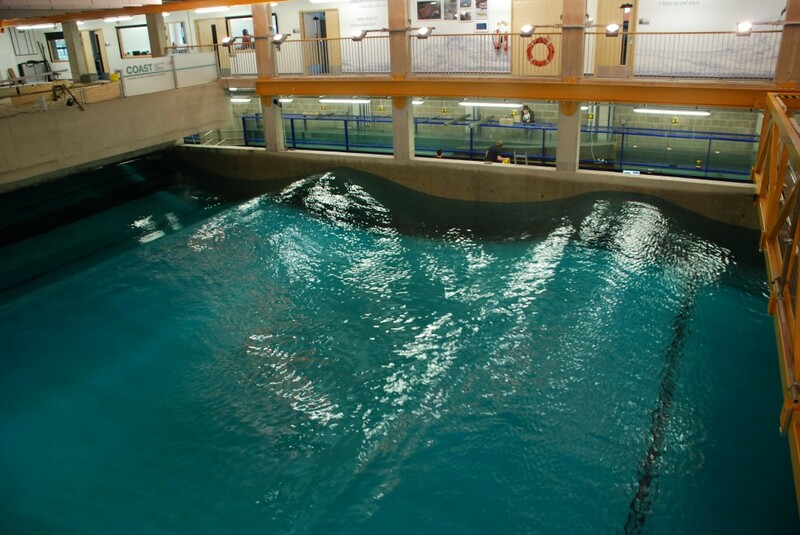 The video below shows the Ocean tank generating a large angled sine wave.